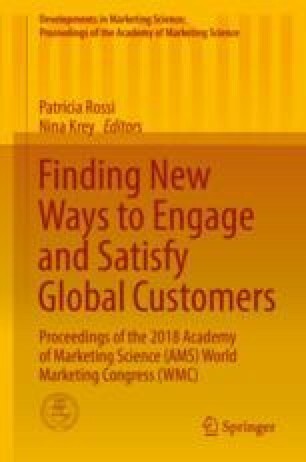 This study aims to provide a new perspective to the 20-year-old question on why consumers engage in customer citizenship behaviour. Customer citizenship behaviour concerns the voluntary helpful behaviours performed by customers to the benefit of the firm and may include advocacy and helping fellow customers in using the service. Grounded in the social exchange theory, it is presumed that customers perform these behaviours in appreciation of the benefits they believe they have received from the firm. Despite the proliferation of studies on citizenship behaviour, the link between technology acceptance and customer citizenship is not well understood. Most studies examining technology acceptance theory are concerned about consumer perceptions and behaviour prior to service trial, with many professing that customers’ beliefs of the benefits of the technology may impact their attitudes, intentions, and adoption behaviour. Some studies have also focused on customer behaviour in the post-consumption stage, where continuous intention of the technological service is often examined as the dependent variable. In the modern consumer marketplace, characterised by self-service technologies, however, it is also important to further understand the social interactions among consumers, where customers assist one another in using the self-service in the absence of direct interactions with employees. Thus, it has become necessary to broaden the thinking about technology acceptance models and behaviour in the post-consumption stage, beyond continuous intention, and to understand how beliefs and attitudes after consumption may impact on other types of behaviours, such as customer citizenship behaviour. Hence, this study considered the possibility that customers who hold positive beliefs of the self-service may develop positive attitudes and, in deliberation of the benefits, engage in customer citizenship behaviour. Five belief factors from the extended unified theory of acceptance and use of technology model were considered in this study. Customer satisfaction and affective commitment were explored as cognitive backward- and affective forward-looking attitudes, respectively. Advocacy and helping behaviour were studied as subdimensions of customer citizenship behaviour. The descripto-explanatory, quantitative research design entailed a survey of 538 South African mobile banking application users. The measurement and structural model encompassing two second-order factors (post-usage beliefs and customer citizenship behaviour) delivered acceptable fit, and the research hypotheses were accepted. Theoretically, the findings offer confirmation that within the self-service technology environment, beliefs will impact on attitude and ultimately behaviour. However, the difference is that after the service has been consumed and satisfaction and commitment are gained, behaviour may take the form of citizenship actions, as explained by the social exchange theory. Furthermore, it is foreseen that the adoption of digital financial options could result in another 1.6 billion people becoming part of the financial system and contribute to employment for over 95 million people and monetary deposits of over $4.2 trillion across Africa, Asia, Latin America, and the Middle East. Thus, practically, the findings offer a starting point in investigating initiatives to stimulate adoption of digital financial services in emerging market countries, such as using cell phones to conduct financial transactions, and that may lead to greater benefits.